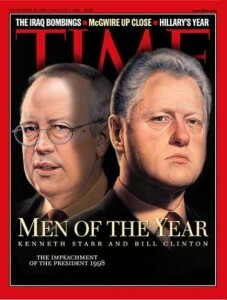 Ex-Special Prosecutor Ken Starr Named President of Baylor Univ. Kenneth Starr, the special prosecutor who toiled in the eye of the political hurricane during the President Clinton-Monica Lewinsky scandal that rocked Washington, will become the new president of Baylor University in Texas, the Associated Press reported. Starr has been dean of Pepperdine University Law School in Malibu, Calif. The AP said Baylor cited Starr’s Christian ideals and experience heading Pepperdine law school as some key reasons for his selection. Posted: 2/16/10 at 7:26 AM under News Story.